Listen to Angela talk about The Dying Beach with Michael Cathcart on Radio National Books and Arts Daily here. 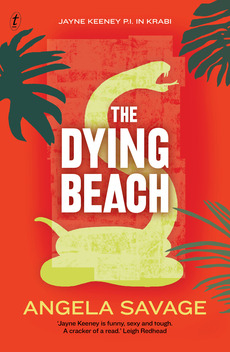 The Dying Beach made several lists of top reads for 2013. Graeme Blundell: ‘Angela Savage’s female PI, 30-something Jayne Keeney, returns in The Dying Beach, again investigating a case in Thailand and still driven by that repressed compassion fuelling her need to see justice done’.